Creating an online home for ultimate teams of all stripes. 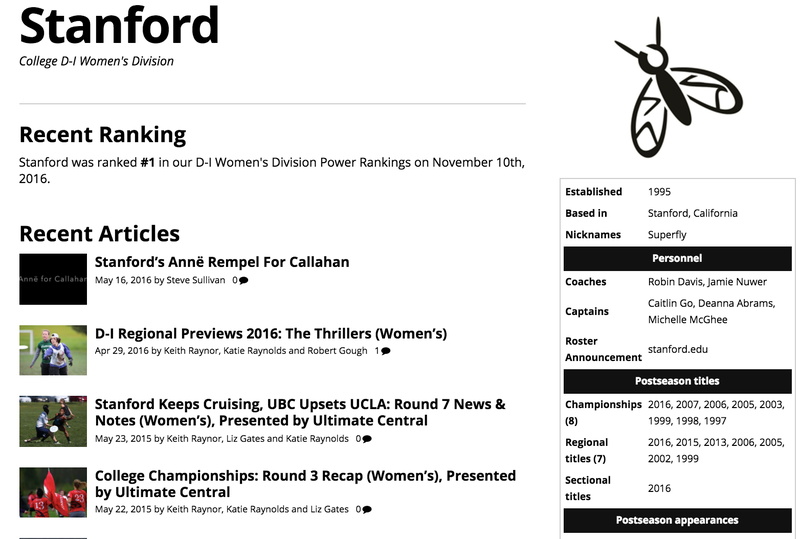 We are excited to announce a new feature on Ultiworld: team reference pages. We want to create a centralized place for information about every ultimate team, including their history, biography, related articles, full game footage, contact information, and more. Team websites vary in quality and scope, and many teams do not have an online presence at all. We hope to add some permanence to team information and results with these new pages. You can check out many team pages right now by heading over to the Top 25 and clicking any team name in the list. Check out Stanford (Women’s) or Oregon (Men’s) for some robust examples; most pages are just a shell at the moment, but that’s where you come in! You can become a team delegate and edit your team’s entry with any and all information that you have. You can make your team’s online presence stronger, help with recruiting, and develop a resource for past and future players to keep up to date. Ultiworld’s new Team Reference Pages are a great way to bring together all of the biographical and historical information of a team alongside the current rankings, articles, and videos that the team has been included in. See below for information about how to become an editor and what to do when editing your team! Questions? Hit us in the comments on the forums. 1) Create an ultiworld.com account if you do not already have one. 2) Send us the username and/or email used to create your account and the team you would like to edit. 3) We will give your account permission to edit that team and send you a direct link to where you can edit that team’s entry. 4) Log in to your account and start editing! While we want these pages to be as filled out as possible, you will certainly run into some fields that either don’t feel relevant to your team or which you aren’t 100% sure about. If that’s the case, DO NOT fill the fields out. We prioritize accuracy above all else. We want this to be a resource that everyone (you, the community, Ultiworld reporters, the outside world) can trust. Below is a quick overview of where and how you can edit some of the information shown on your team page. This is the first tab at the top of the edit screen and contains Owners, Coaches, Captains, Roster URL, and Flight. This is the second tab at the top of the edit screen and contains Seasons and Honors/Awards/Other Titles. Seasons is where a big chunk of the team information goes. For each year, you can add regular season record, postseason record, region/section finish, and who the leadership was that year. 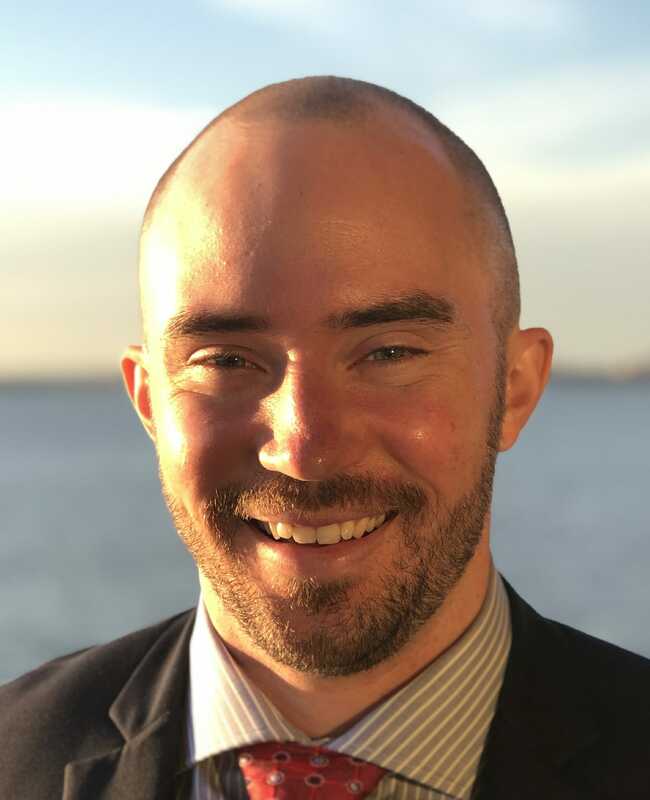 Be sure to read the instructional text next to the field titles and if you are unsure how things are typically formatted, check the reference team. Honors/Awards/Other Titles is for anything “won” outside of the context of the season information given above. This could be a “Best Spirit Award” or “Best Local Sports Team” or “U.S. Open Winner”, etc. Runner-up/2nd place awards may qualify if the honor is of particular significance. This is the third tab at the top of the edit screen and contains Nicknames, Short Name, and Links. This is below the box with the above tabs and contains City, Region, Postal Code, Country, and Birthday (aka Date Established). If you don’t know the exact origin date of the team but know the year, use January 1 of that year. Let us know if you have any questions about how to fill out your team’s entry and thank you for your help! Comments on "Introducing Team Reference Pages"